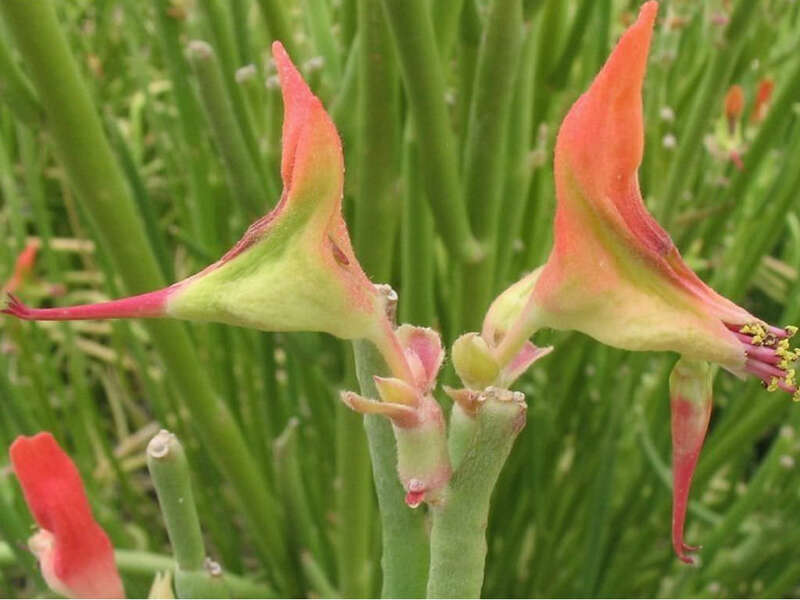 Euphorbia lomelii is an unusual, attractive, slow growing succulent plant that remains mostly leafless, or with tiny, inconspicuous leaves. 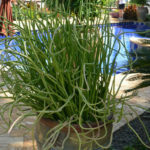 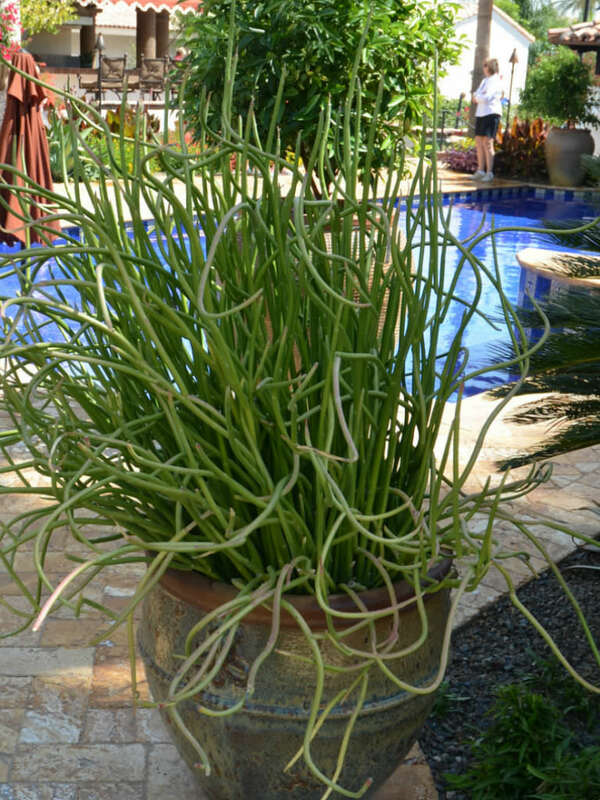 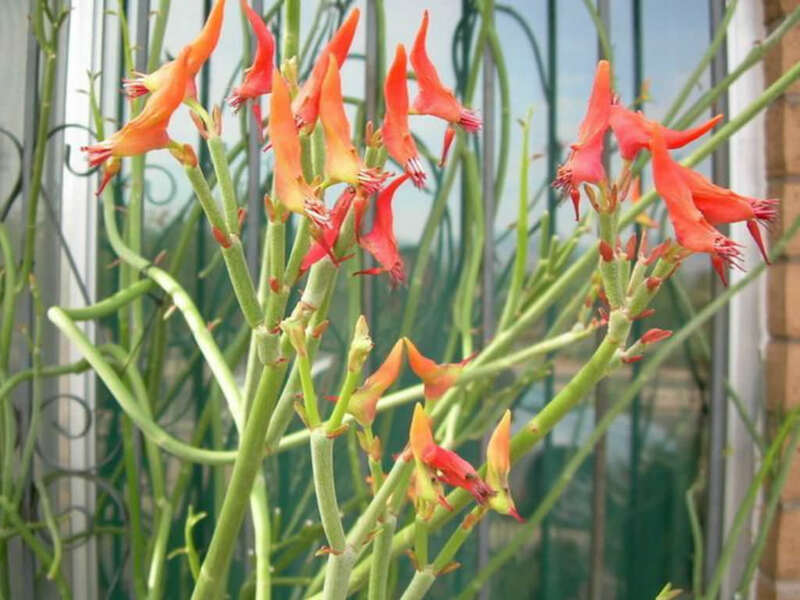 Instead of leaves it has erect, up to 0.5 inch (1.3 cm) thick, lime-green stems that rise up to 3 feet (90 cm) tall, sometimes taller in the shade, arching or bending outwards under their own weight. 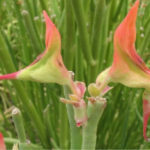 The stems are tapered like a candle near the tips and covered by a waxy substance known as Candelilla, which means “little candle”. 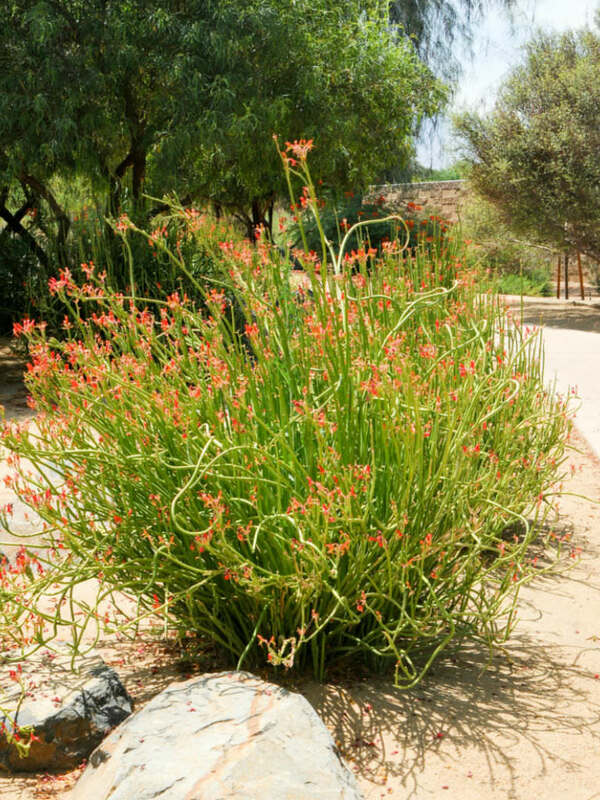 The plant spreads slowly outwards with new stems emerging from below ground to form tight clumps up to 3 feet (90 cm) wide. 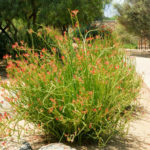 In mid-summer into fall the unusual, orange-red, slipper-shaped flowers, appear along the stems and are often followed by reddish fruit.